How to live a life of nobility and goodness — even in corrupt and confusing times. Here is a complete guide to mature, responsible, even noble behavior in our complex modern society. 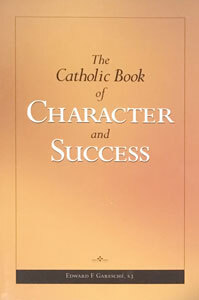 Written in the 1930s by a wise Jesuit priest and steeped in the wisdom of the ages, these pages teach the timeless principles that have led countless souls to true success and lasting happiness. Here is a good man’s canny advice on how to deal with the practical problems faced by all those who strive to live their lives nobly and well. Learn how to discipline your imagination so it won’t lead you astray; how to tell the critical difference between pleasure and happiness; and how to strengthen your will to ensure that you always choose the good. Without condescension, Fr. Garesché shows how to maintain a healthy mind, resist temptations, grow temperate, practice fortitude, think kindly of others, and choose worthwhile amusements. He even explains how to accept criticism graciously and how to develop the kind of confidence that is not rooted in pride, but is the necessary foundation for any life that will be productive and holy. Once you assimilate the wisdom here, you ’ll know how to find genuine success — the success that transcends money, fame, and pleasure.